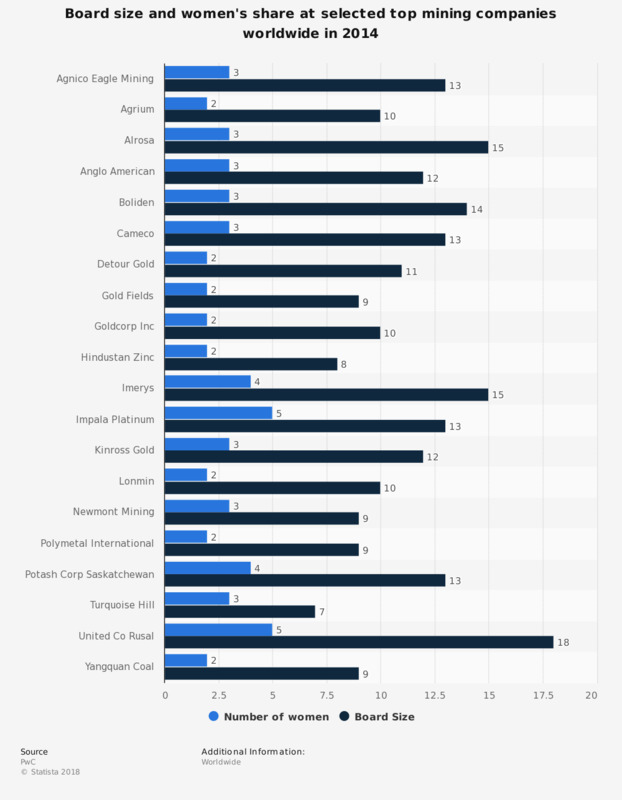 This statistic displays selected top global mining companies and their number of women on boards and the relative board size as of 2014. During this year, the Potash Corp Saskatchewan had 4 women on a board with 13 people total. Within the top 100 companies, 11.1 percent of boards are female which has been an improvement over the last three years. Gender diversity in senior management in the industry has improved, although women in the industry are still a minority.